Used to attached TWO POL inputs to one tank. Can be used with high pressure appliances . 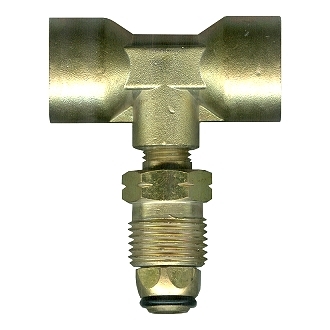 Brass Tee Connection (me420) .9 GPM Excess Flow Male Hard Nose POL X Female POL X 1 Inch-20 Male X 1/4 Inch Female Inverted Flare. 5 Foot Hose (mer401-60) .9 GPM Excess Flow Male POL X 1/4 Inch Male Inverted Flare. Price/Kit.